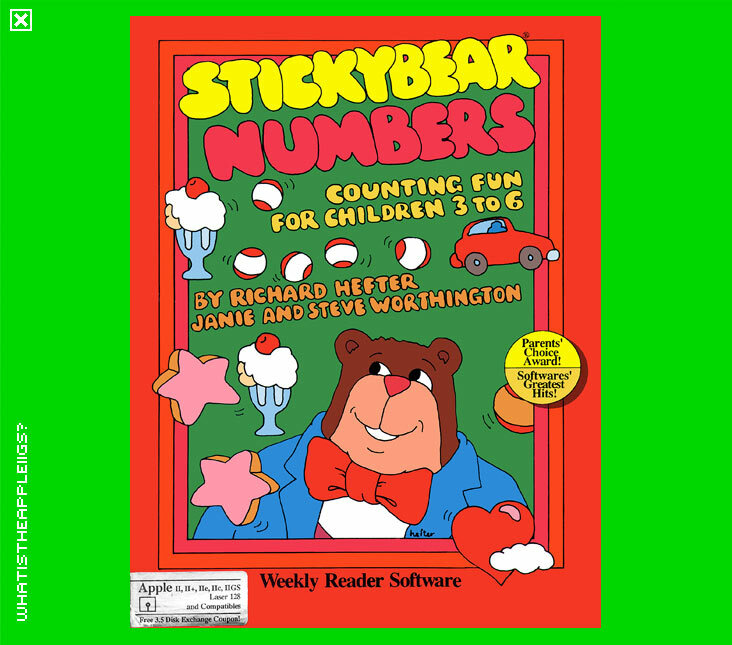 The Stickybear series was very popular and helped kids with reading, writing, spelling, mathematics and even typing amongst many titles. Should work fine on any 3.5" drive equipped Apple II. A disk image for this title is missing - please help if you can.